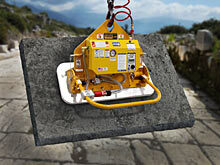 These are quality U.S. made lifters which feature rugged construction and a unique filter-reservoir system specifically designed to work in environments of moisture and stone dust. 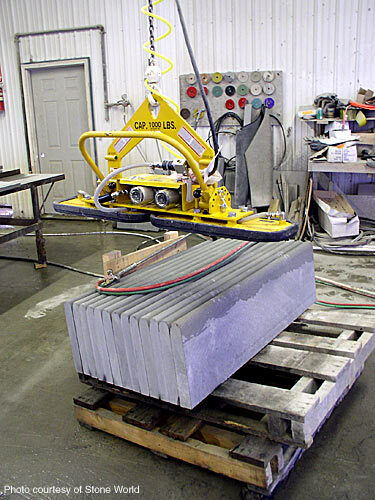 These lifters are designed for the maximum amount of time on the job with the minimum of service. 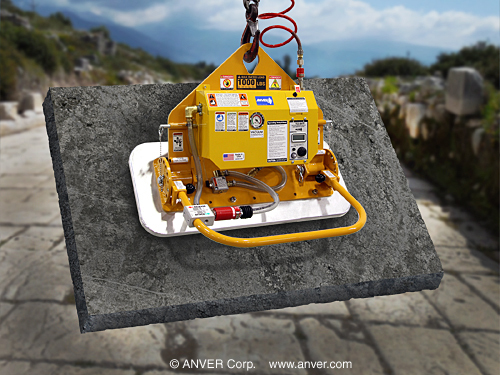 The ANVER-made, air-powered pump at the heart of these systems has no moving parts, so there are no electric motors, switches etc. to burn out. One model to handle most of your stone types and surface textures. 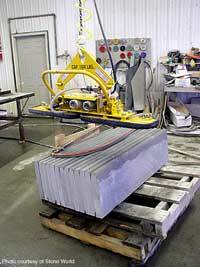 Gravity Tilters for Stone Handling will tilt stone with the bottom edge touching the ground.